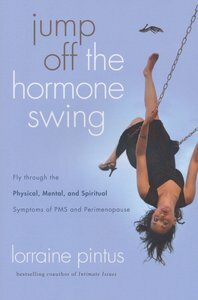 In Jump Off the Hormone Swing, Lorraine Pintus shares openly about the inner tension a woman can feel at certain times of the month between wanting to love her neighbor on one hand, and wanting to strangle her and shoot her ugly dog on the other. While many books discuss the physical and emotional symptoms of hormones, this is the first to explore in depth the spiritual aspects. Jump! is a mentoring book, not a medical book. The focus is on attitude, not anatomy. Lorraine shares insights from her own journey as well as wisdom from 1,500 women she surveyed. Sound biblical wisdom is laced with humor because after all, when it comes to hormones, you either have to laugh or cry, and laughing is better! · Which foods ease PMS symptoms...which make them worse? About "Jump Off the Hormone Swing"
Pintus is a freelance writer, conference speaker, bible teacher and ministry worker.